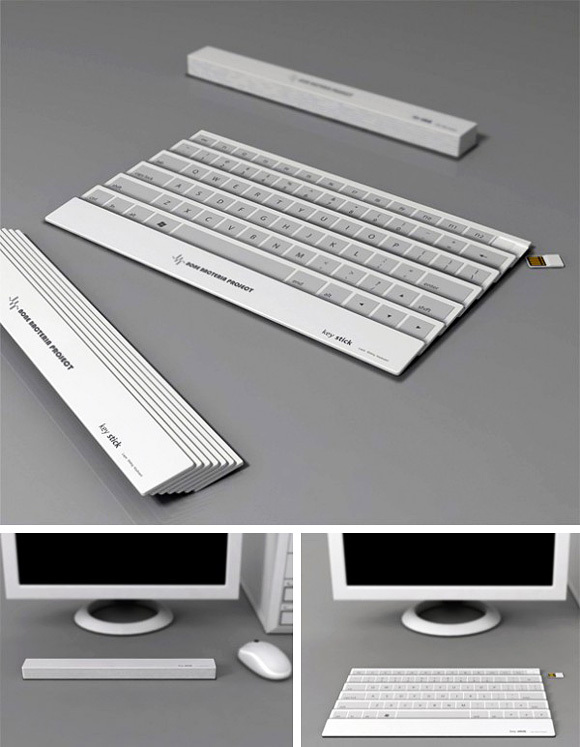 This folding keyboard is a concept designed by Yoonsang Kim & Eunsung Park. It is portable and small enough to take with you everywhere. It is full-sized when unfolded, but then it folds like a Japanese fan when you want to hit the road.